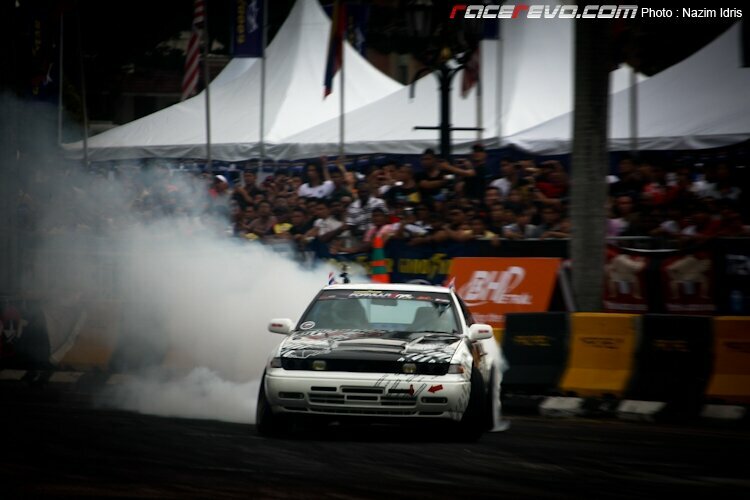 Koh Kae from Thailand is by far the most entertaining drifter during the Formula Drift Malaysia 2010. His angles was one of the best, and was unfortunate not to come away with the winner’s medal ahead of the more illustrious Japanese Daigo Saito. Here’s one of the reason why he was the crowd favourite.